Immediately available ?To Let? are two industrial units fronting Heol Ffaldau on the Brackla Industrial Estate, Near Bridgend. The Brackla Industrial Estate is located just 2 miles or so north of Bridgend Town centre and 1 mile south of Junction 36 (Sarn Park Interchange) of the M4 Motorway. The estate is therefore conveniently located to serve both Cardiff lying approximately 20 miles to the east and Swansea approximately 18 miles to the west. Immediately available ?To Let? 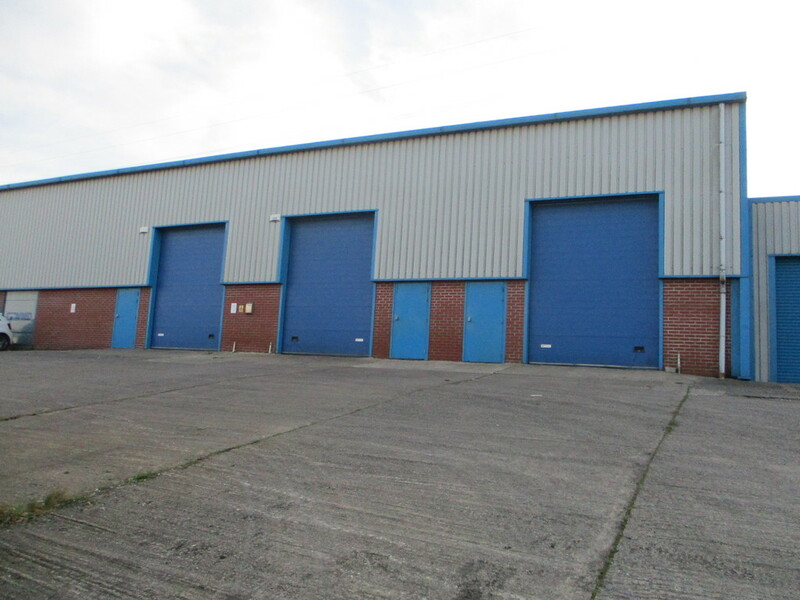 are two modern industrial/warehouse units which are being made individually and potentially if required as a whole. The units are constructed to a modern design and specification around a steel portal frame with brick and blockwork to lower elevations and double insulated steel colour coated cladding to roof and upper elevations. Both units are constructed around a steel portal frame which provides for clear span with 6m to eaves and 8m to apex albeit at present both units feature well-built mezzanine storage areas. Each unit has the benefit of an up and over door to the front elevation opening out onto a concrete surfaced forecourt/car parking area. Internally, each unit currently includes additional storage areas by way of well-built mezzanine floor and WC. Each until has a 3 phase electricity supply, mains water and drainage and mains gas connected. Unit 7 provides approximately 113 sq m (1,214 Sq ft) together with a mezzanine floor providing an additional 70 sq m (753 sq ft) GIA. The units are immediately available ?To Let? under terms of a new FRI Lease for a term of years to be agreed. £9,500 per annum exclusive per unit. The Valuation Office Agency Website is advising a rateable value of £5,800 for Unit 7 and £6,100 for Unit 8. Ingoing tenants then should benefit from small business rates relief. All enquiries to be made of Bridgend County Borough Council Rates Department. All figures quoted are exclusive of V.A.T. if applicable.